Anita Makwana is the Founder and Creative Director of Discover Dance UK. 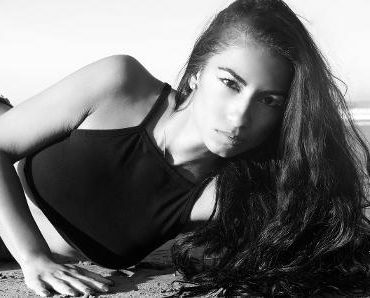 She is a London based professional choreographer, performer and dance Instructor. Inspired by a variety of dance forms to create the versatile choreographer and dancer she is today, her passion for dance and diverse dancing background have enabled her to create an individual style, which are both intriguing and unique to all types of audiences. Anita has choreographed huge stage productions for an array of platforms to include TV, Exhibitions, Theatre, Music Videos, Award Ceremonies and more and she regularly teaches and choreographs for adults and children in and around London and also abroad. Private tuition enables her to focus on a client’s technique, stage presence, inner confidence, self motivation and overall fitness. Anita has performed and choreographed Worldwide within her Company and also with several affiliated Companies in the industry. She is able to source professional dancers from all genres and is highly experienced in creative movement, direction and choreography. Anita is professionally trained in a variety of dance styles, to include Bellydance, Bollywood, Salsa, Samba, Zumba, Street/Hip Hop and Commercial/Jazz. She has an Exercise to Music Level 2 qualification, is Zumba qualified, has a Bellydance Teachers Training qualification, an enhanced CRB and First Aid at work. She is also a member of the UKCD, the largest choreographers directory in the UK and the CID – International Dance Council.